If you live in Lancaster/Palmdale or the surrounding areas of Antelope Valley, then you have picked the perfect site to find a veterinarian. Dr. Cheema is a licensed veterinarian, treating dogs and cats with over 15 years of experience in the field. Your pet's health and well being is very important to us and we will take every step to give your pet the best possible care. Sears Veterinary Hospital is a full service animal hospital and will take both emergency cases as well as less urgent medical, surgical, and dental issues. Dr. Cheema is experienced in all types of conditions and treatments. Beyond first rate pet care, we make our clinic comfortable, kid-friendly, and a very calm environment so your pet can relax in the waiting room and look forward to meeting his or her own veterinarian. We have a number of resources for you to learn about how to take better care of your pets. Browse around and look at our articles and pet videos. The best veterinary care for animals is ongoing nutrition and problem prevention. If you want to ask a question call 661-948-5911. Our Lancaster veterinary office is very easy to get to, and you can find directions on our Contact Us page. You can also subscribe to our newsletter which is created especially for Lancaster pet owners. In between your veterinary visits, your pet will benefit from you reading these free informative articles. At Sears Veterinary Hospital, we treat your pets like the valued family members they are. 98.6% of clients would refer friends and family to us. I have two cats, Remy and Dany, and both have needed a surgery at Sears(one urinary blockage, one spay). Both cases went smoothly, and the staff were all great. I have heard great things about Dr. Cheema, but we have only dealt with Dr. Chandler so far. She is very nice and answers all of our questions to make sure we are comfortable with the treatment and aftercare. 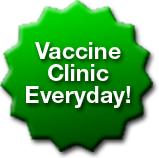 We go back each year for vaccinations, and it is always fast and efficient. Our furbabies are in great hands! Staff were friendly and treated my dog Sammy with respect. The best solo kind and caring in difficult situations. Staff and doctors very professional and answer questions. Our dog, Sam, was in the care of Sears Veterinary hospital from the time he was a puppy. He was in pain for the last 6 months of his life and Sears Veterinary Hospital provided us with pain killers and other medication to cope with his pain. We finally had to put Sam to sleep. He was in such pain, we had no alternative. When we took him in to Dr. Cheema, the whole family was there to say good bye to Sam. Dr. Cheema and his staff were so gentle with Sam and so accommodating to us, giving us all the time we needed to say good bye. They sent a beautiful sympathy card to us and gave us a pawprint in plaster of him. We appreciated all the care they gave him during his 14 years of life. Thank you to Sears Veterinary Hospital for helping us. We would recommend them to anyone with a pet they care about. Sam was part of our family and we appreciate all the care Sears Veterinary hospital gave him. The care and expertise is always awesome! Our dog, Sam, was in pain for the last 6 months of his life. Sears Veterinary Hospital provided us with pain killers and other medication to cope with his pain. They sent a beautiful sympathy card to us. We appreciated all the care they gave him during his 14 years of life. I give it a 5 stars. Weve e been coming here for ages. Great doctors and awesome staff. I highly recommend this Vet. DR. Cheema, is so compassionet with Dooder,& all my babies. He always calls to see how they are doing. As well does his staff. ThankYou everybody for everything you do!!! Love you all. Karen Hamilton, Dooder, Ellie Mae, Chunky Monkey & all my babies! Reviews with the seal are exclusively certified by Demandforce, Inc. to be from our clients.